Home » collection , commanders. 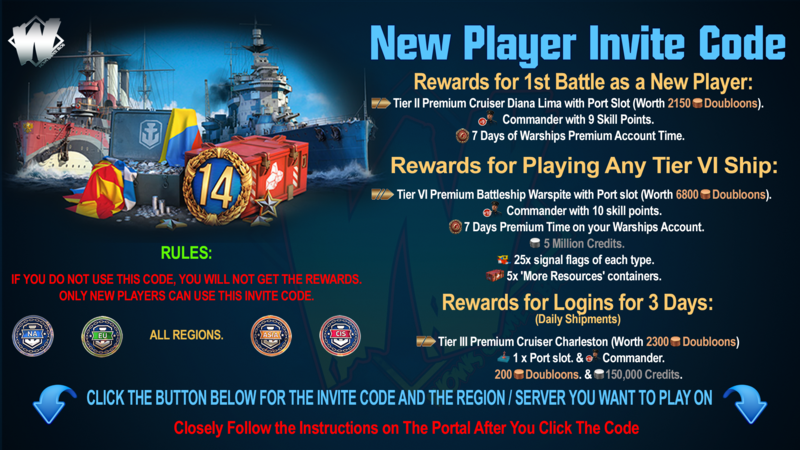 , missions , news , William Halsey , world of warships » WOWS - The Rewards for New Campaign "Hit Hard! Hit Fast! Hit Often!" 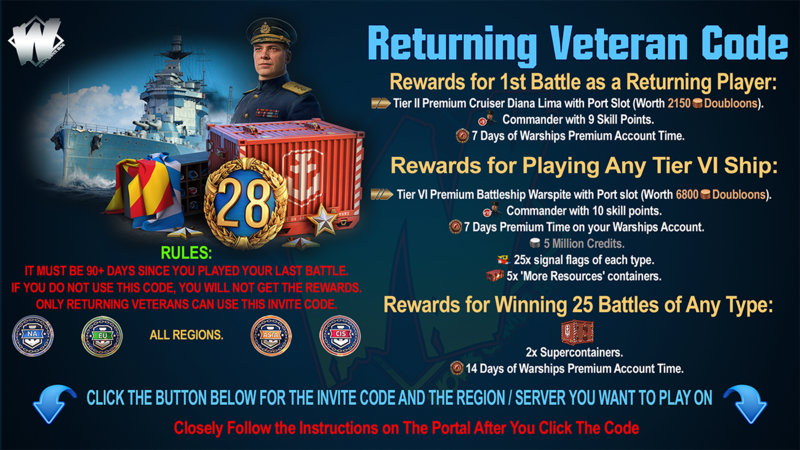 WOWS - The Rewards for New Campaign "Hit Hard! Hit Fast! Hit Often!" "Hit Hard! Hit Fast! Hit Often!" One of the main new features of Update 0.7.5 will be a new permanent campaign. Thematically, the campaign was inspired by the glorious career of Admiral William Halsey, one of the key figures in the U.S. Navy's victory at sea during World War II, whose slogan "Hit hard! Hit fast! Hit often!" became a byword for the Navy. Not without good reason! Halsey came to prominence as a commander of the combined carrier divisions, but to complete the new campaign, you'll have to rely on various ships, which aren’t all American. 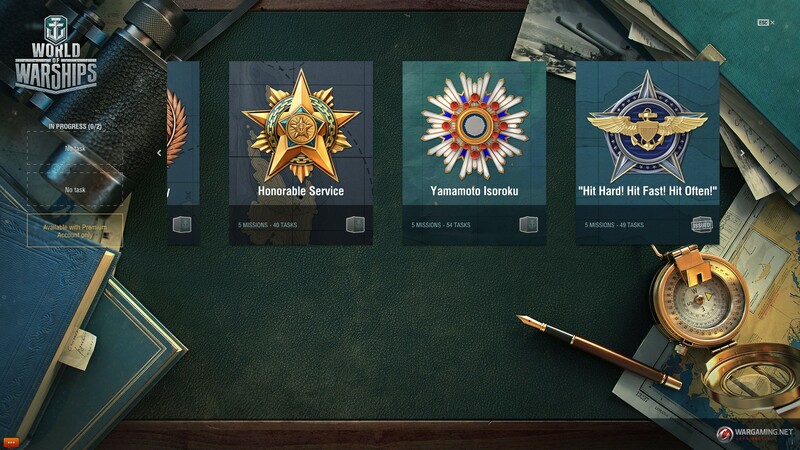 The only common restriction for tasks will be the minimum tier of ships, Tier VIII. Throughout the five missions and 49 tasks, you'll have to achieve a wide range of objectives from earning a given amount of XP over any number of battles, to joining the top three scorers on your team with a heroic achievement. 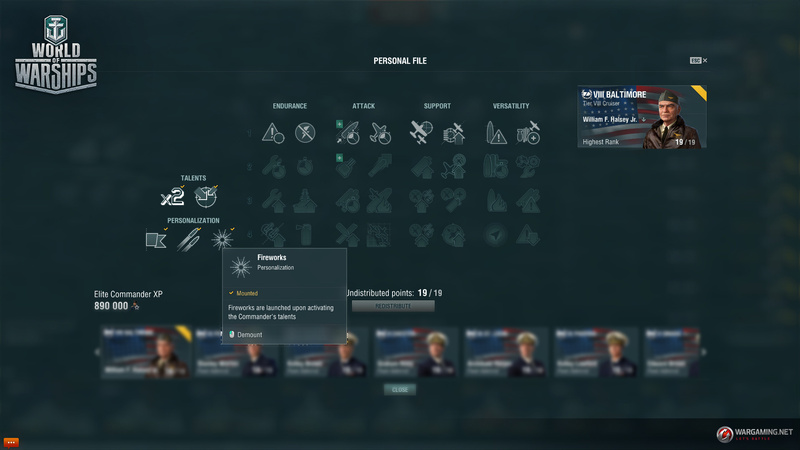 The successful completion of the final task of the fifth mission will grant you the unique Commander Halsey to helm one of your U.S. ships and the Commander's commemorative patch. Like other campaigns, each task will bring a reward only when it is first completed, while stars for each task can be earned many times. Key point: The first, second and final task of each mission can be completed in Ranked and Clan Battles so you can grab the final rewards with no need to leave the types of battles you like most. 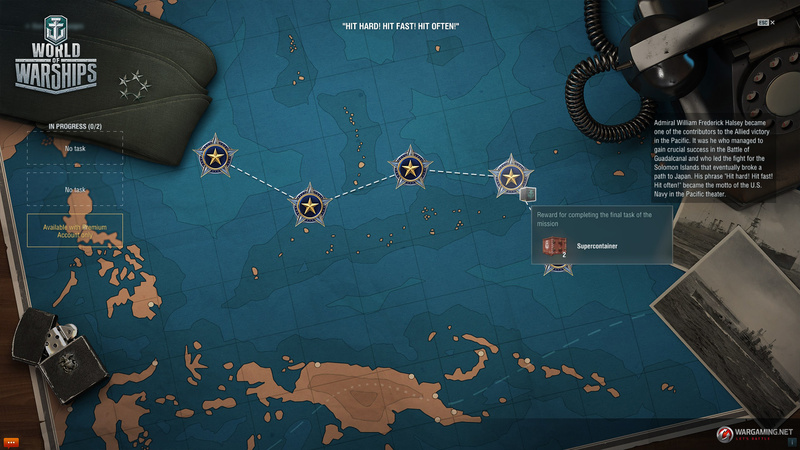 Each successfully completed task will provide you with various bonuses from economic signal flags and expendable camouflage patterns to Premium consumables, credits, and free XP. Complete the final task of the first mission and get an "American" container to start building your "American Cruisers" collection if you haven't yet done so. 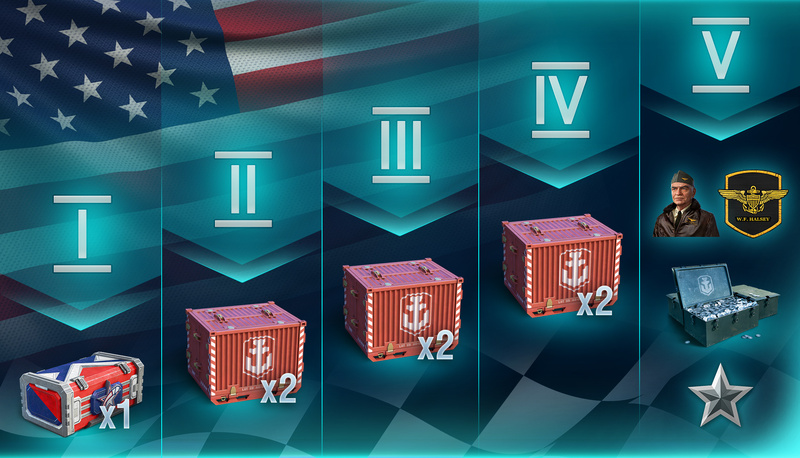 The final tasks of the second to fourth missions will bring you two super containers each! And when you're through with the final challenge of the fifth mission, your ultimate reward will be William Halsey, a unique commander that will come with 15 skill points and a commemorative patch. 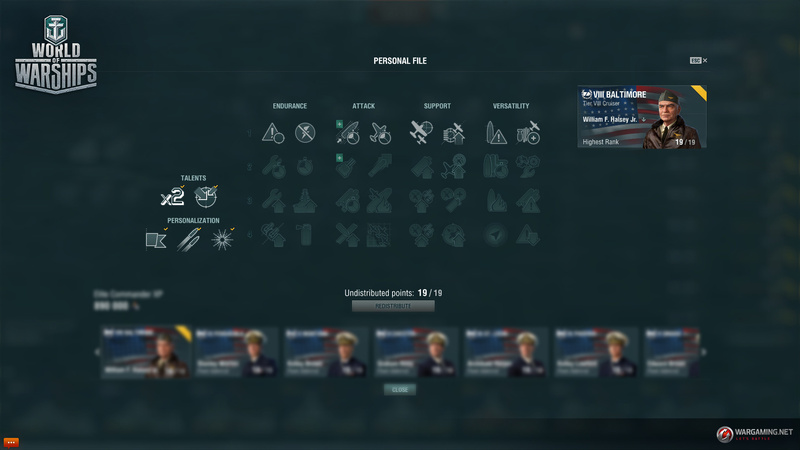 Once Commander Halsey with 15 undistributed skill points is in your Port, he will get a specialization for Tier I U.S. cruiser Erie. In addition, you get 200,000 credits and 50,000 Elite Commander XP that you can use to retrain your new Commander for any desired U.S. ship. All details about the tasks and rewards issued for their completion will be available in the game client after Update 0.7.5 goes live. +3 deg/s (instead of 2.5 deg/s) to the traverse speed of guns with a calibre up to and including 139 mm. +1 deg/s (instead of 0.7 deg/s) to the traverse speed of guns with a calibre above 139 mm. The ship helmed by Commander Halsey will get an exclusive pennant, and shells fired from her main guns will have red tracers. Fireworks will be shot off the ship when any of the achievements that activate the above mentioned talents are earned. These personalizations can optionally be deactivated. Any active personalizations will be visible to all players in a battle.